The Student Government Association (SGA) is Hofstra University’s student-run governing body and is comprised of full-time undergraduate students that act as a liaison between Hofstra students and the University’s faculty, administration, and Board of Trustees. SGA has three branches: the Senate, Cabinet, and Judicial Panel. In addition to serving as the primary representative for the interest of the student body on a University level, SGA plans and executes multiple programs and initiatives throughout the academic year, and oversees the finances of over 180 clubs and organizations. Any undergraduate student who meets the minimum GPA requirement and is eligible to vote in SGA elections is eligible to join! The more passionate students we have working with us, the more we can do for Hofstra, so consider joining SGA during our next round of elections! SGA is involved in addressing student concerns and the betterment of student life. Currently, SGA has six standing committees: Appropriations, Club Relations, Public Relations, Rules, Spirit, and Student Services. All of these committees work to advance the needs and interests of the student body, as well as support and assist clubs in their endeavors. 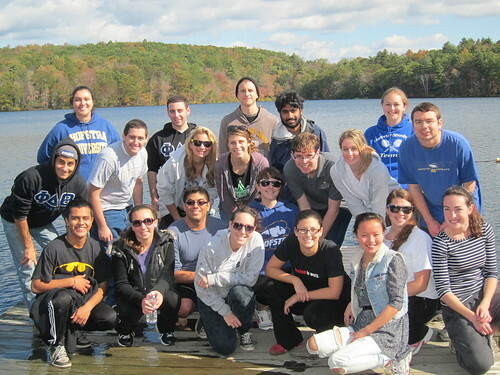 With all that Hofstra offers, all you need is the motivation and desire to get involved. Let SGA help you find your home on campus.